Mediterranean Sea map with 21 countries along the sea, there are 18 important cities along coastal. 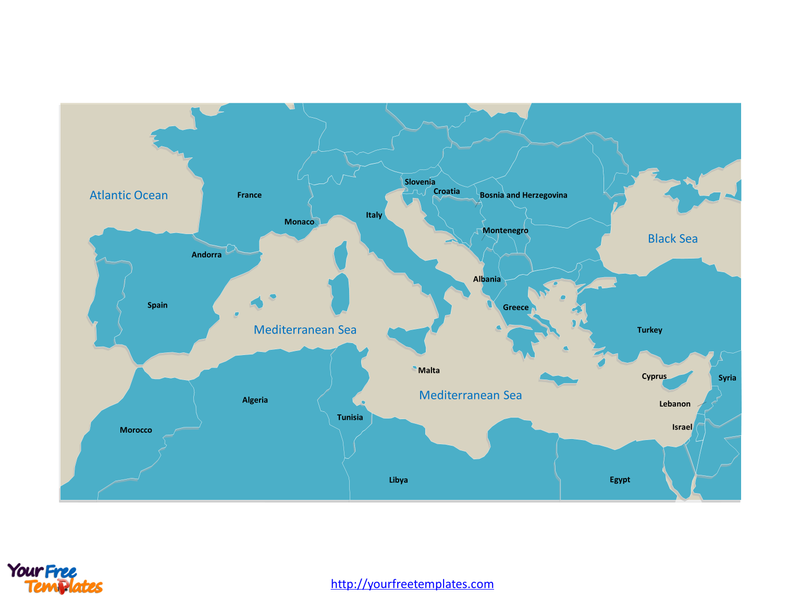 The Map of Mediterranean Sea Template includes two slides. Slide 1, Country outline map labeled with country names. The Mediterranean Sea is a sea connected to the Atlantic Ocean, surrounded by the Mediterranean Basin and almost completely enclosed by land: on the north by Southern Europe and Anatolia, on the south by North Africa, and on the east by the Levant. The countries with coastlines on the Mediterranean Sea are Albania, Algeria, Bosnia and Herzegovina, Croatia, Cyprus, Egypt, France, Greece, Israel, Italy, Lebanon, Libya, Malta, Morocco, Monaco, Montenegro, Slovenia, Spain, Syria, Tunisia and Turkey. Every individual political subdivision is an editable shape. 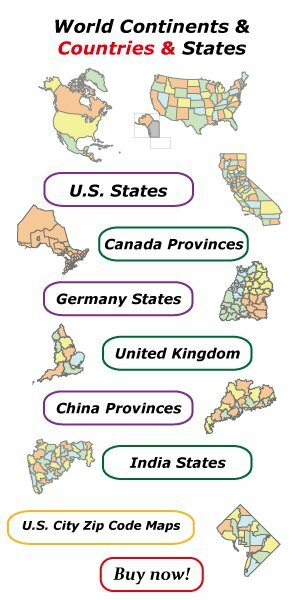 Slide 2, Country political map labeled with important capitals and cities. There are 20 important cities along the Mediterranean Sea coastal, they are Rabat, Tangier, Oran, Algiers, Annaba, Bizerte, Tunis, Sfax, Tripoli, Banghazi, Alexandria, Tel Aviv-Yafo, Beirut, Nicosia, Athens, Rome, Marseille, Barcelona, Valencia, and Malaga.